Storytelling, crafts, clowns, performing arts, painting and wood crafts, archery, petting zoo, pony rides, kayaking, moon bounces and more! Yukon City Park | 2200 S. Holly Ave.
Advance admission bracelets are on sale now for the 22nd annual Festival of the Child set for Saturday, May 5, 2018 at Yukon City Park. Advance bracelets are $5 through Friday, May 4, and $7 the day of the event. Adults are FREE. This event is presented by the City of Yukon and Children’s New World. This annual family-friendly festival is the day for children to shine. 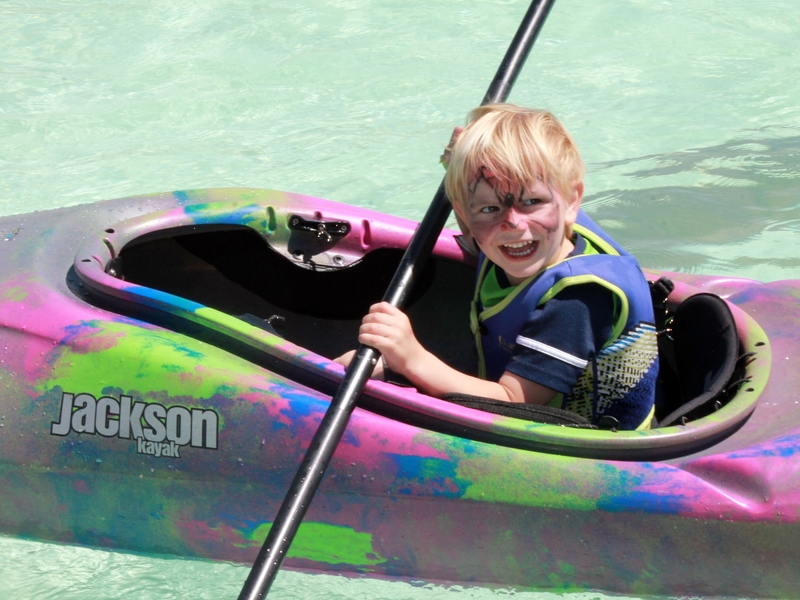 Over 50 areas of FUN include kayaking, pony rides, painting, inflatables, crafts and more! Over 45 local volunteer organizations are on hand to make this a fun and special day! A special thank you to our sponsors. Corporate sponsors include Children’s New World, K12.com Virtual Charter School, Yukon Kid’s Dental and Red Dirt Orthodontics, and Westpointe Chrysler Jeep Dodge Art Stage. Additional sponsors include BJ’s Restaurant & Brewhouse, Yukon Optimist Sports Club, Dental Depot, Childhood Learning Academy, True Sky Credit Union, Carvana, Thomas and Barbara Rhodes, YNB - The Bank that Makes Things Happen and Yukon Pediatrics. 2018 Festival Friends are Integris Canadian Valley Hospital, Spanish Cove Retirement Village, Banc First, and Smith & Turner Mortuary.